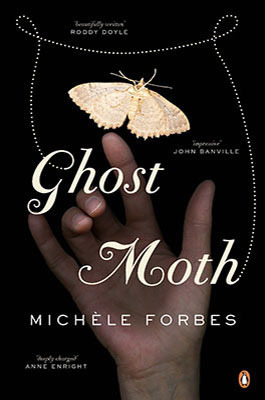 GHOST MOTH by Michelle Forbes To the book of the month ……What were our thoughts about this book? First let me give you some idea of the content. The novel is set in Belfast,moving from 1949 to 1969. We all know how in that space of time life would change there. In 1949..Katherine the main character is a single working woman, engaged to a hard working but unexciting George. She herself belongs to an operatic society and finds herself attracted to the tailor /costume maker, Tom ,with whom she has a passionate affair. Fast forward to 1969, the time when “the Troubles” erupted again. Katherine is married to George, with four children and engaged in the humdrum existence of managing the household, instead of living the “other” life which was on offer to her with Tom. He is now dead, drowned in the canal! She herself tells her youngest child about Ghost Moths….you will have to read the book to discover the relevance of that, as you will, to meet a seal..unexplained, for your interpretation. There are two confessions revealed, relevant to the story, which may stimulate your interest as well. Before you rush to the library to borrow a copy,let me tell you what our opinions were. As usual we were not unanimous in our conclusions. We ranged from enjoying the book and thinking it well written, to hating it. The majority thought it boring with not much happening and two members felt that it edged very close to being Chick-lit, not a genre we were interested in exploring. Nevertheless, the average score was 6/10. Maybe it is now over to you ?